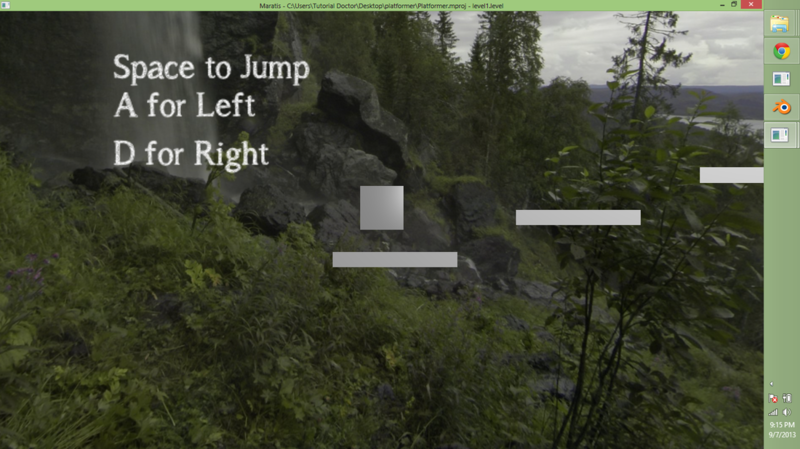 It doesn't have collision test yet so holding jump will make it continue to jump. I think I forgot to save when I put the platforms in. I included the PRIMITIVES with this project, so adding a cube and giving it physics should fix it. I will see if I can turn that cube into a character.